Keurig Green Mountain is surfing the frothy M&A market to a happy exit – and it has a new type of dealmaker to thank for it. The company best known for its K-Cup single-serve coffee pods is selling to JAB, backed by Germany’s Reimann family, for $13.9 billion. The $92 per share sale, at a 78 percent premium to Friday’s closing share price, is a welcome development for investors in the struggling coffee group, whose shares had fallen nearly 70 percent in the year or so leading up to Monday’s deal. The roster includes Coca-Cola, which invested $1.3 billion in Keurig in 2014 when the shares traded around $80 and eventually took a 17 percent stake, and Eminence Capital, an activist investor with a passive 7 percent interest. Greenlight Capital’s David Einhorn, who in October said he had bet against Keurig shares, may not be so happy. The real novelty, though, is JAB’s caffeine-themed consolidation plan. Keurig sales slipped 4 percent in the fiscal year ended in September after rising nearly 30-fold over the previous decade. A new line of coffee makers flopped and a deal with Coca-Cola on cold beverages has yet to make up for the hit to the core business. JAB and its co-investors, Oreo cookie producer Mondelez International and banking honcho Byron Trott’s BDT Capital Partners, will be hoping to change that in time, in private and in conjunction with its other coffee investments. It’s reminiscent of the efforts of 3G Capital, an investment firm with Brazilian backers, to make the most of its acquisitions in consumer foods, ranging from Burger King to H.J. Heinz and Kraft Foods. For its part, JAB in 2013 paid nearly 16 times EBITDA – a higher multiple than the Keurig transaction – to buy Douwe Egberts, which in July merged with Mondelez’s coffee brands to form Jacobs Douwe Egberts. Another JAB holding, Peet’s Coffee & Tea, has also been on the acquisition trail, gobbling up stakes in upscale caffeine purveyors Stumptown Coffee Roasters and Intelligentsia Coffee. Deep and patient family pockets aren’t the only thing JAB has in common with 3G. It also has serious industry expertise in the form of Chairman Bart Becht, the former Reckitt Benckiser boss. Long term, he may brew K-Cups into more dollars than he’s paying. In the short run, Keurig investors should probably count themselves lucky. An investor group led by JAB Holding has agreed to acquire U.S. single-serve coffee group Keurig Green Mountain for $13.9 billion, the company said on Dec. 7. 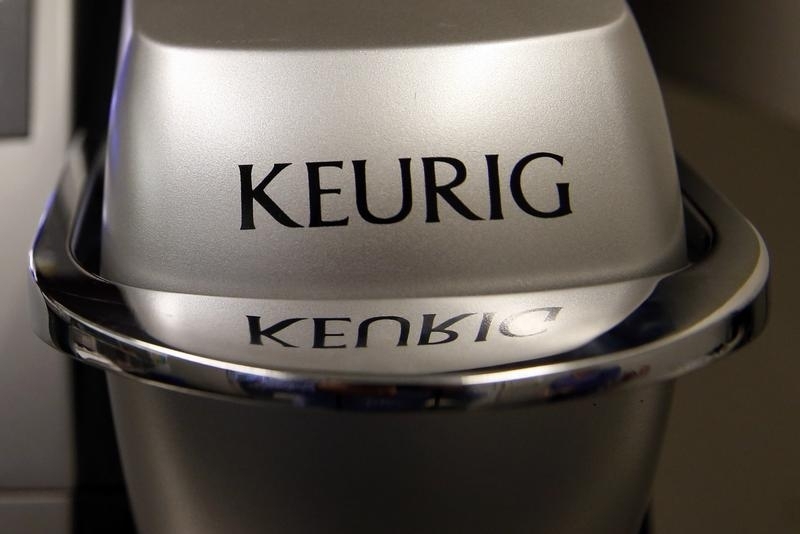 The deal price represents a 78 percent premium to the closing value of Keurig’s shares on Dec. 4. As of that date, the company’s shares had fallen 67 percent from a high of around $157 per share in November 2014. Oreo cookie maker Mondelez International and entities affiliated with former Goldman Sachs banker Byron Trott’s BDT Capital Partners joined JAB in the deal. In July, JAB formed Jacobs Douwe Egberts by combining its D.E. Master Blenders 1753 business with the coffee business of Mondelez. JAB also owns U.S. coffee chains Peet’s Coffee & Tea and Caribou Coffee. Coca-Cola holds a 17.4 percent stake in Keurig Green Mountain.